Propaganda poster issued during the Second World War. 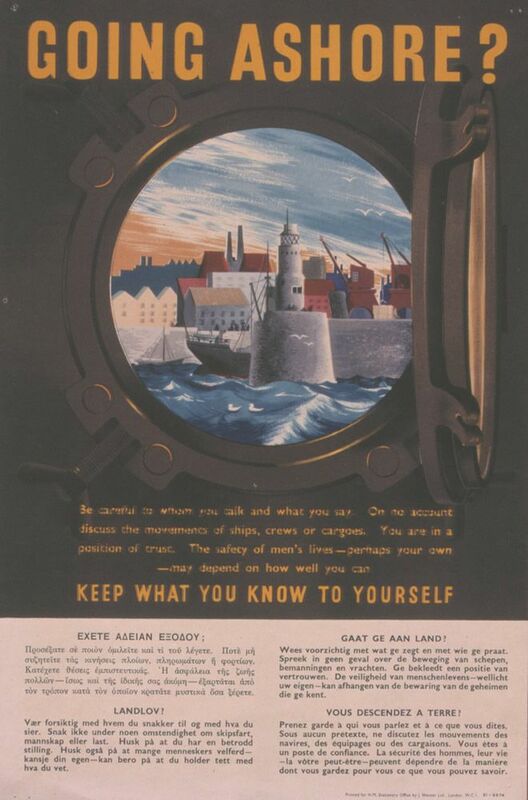 Slogan shown above an illustration of a porthole view of a harbour. English text also repeated in French, Greek , Dutch and [Norwiegan]. This Going Ashore? Keep What You Know to Yourself Art Print is created using state of the art, industry leading Digital printers. The result - a stunning reproduction at an affordable price.